After recently making a major life changing decision, I wondered why the reality of this change didn't seem to match my expectations. Where did I go wrong in my thinking? Dr. Gilbert answers this question and others like it. 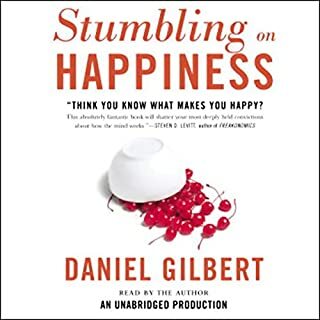 This is a fascinating view of the human mind, and it's search for happiness. The conclusions are simple, but journey to reach them will change the way you think. 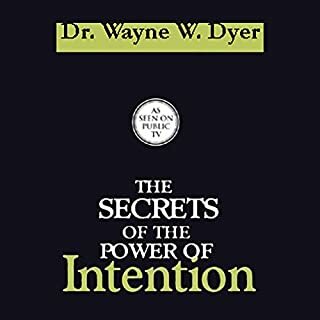 In this live lecture, Dr. Wayne W. Dyer explores intention as an all-pervading force in the universe that allows the act of creation to take place. Intention, he explains, is not something you do, but an energy you're a part of. Not only do you emanate from the field of intention, but if you align yourself to it, your desires become fulfilled and you find yourself at peace. Dr. Dyer is a terrific speaker and motivator. I found much of what he says to be useful and applicable, although I don't necessarily agree with a lot of his New Age views of God or "Source". Much of it is fluff and not based on real science.